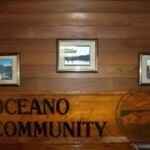 Oceano Community Services District Board members are slated Wednesday to revisit their approval of an illegal raise that they voted to give themselves in July. On July 11, board president Matt Guerrero called the proposed raise hazard pay and board member Mary Lucey said she deserved $300 to attend some meetings. During the discussion former board member Barbara Mann said from the gallery that the limit was $600 a month per director. District legal council Chase Martin then said he would check into laws about pay limits and the vote to approve the increase was placed on the July 25 agenda. Even so, on July 25 the board voted unanimously to raise their meeting stipend from $100 to $125 after about a minute of discussion in which board member Karen White noted that at least they were making the decision in public. I”m glad the media is giving attention to the doings of the Oceano Community Services District, but the quality of the coverage leaves much to be desired. The headline on this story is another example of editorial opinion being cast into a news story that is presumed to be written without bias and with fairness. Where are the facts that PROVE that the raise was “illicit”? Has a court determined the raise was “illicit”? At this point people are ALLEGING that the raises are illegal. The headline should reflect that rather than making a legal determination on the matter under dispute. If the reporter and editors of CCN wish to editorialize and publish their opinions they should do that in editorials and opinion pieces. That would be the professional and ethical way to do it. Thank you WiseGuy for providing a dose of healthy skeptcism about what you read. I however do not believe it is warranted in this case. The article clearly states the law, and gives the government code section. You cannot be paid more than $100 per meeting, and more than $600 per month. This is the law. It’s interesting to note that Mary Lucey, less than two years ago, voted to receive no compensation. Of course at that time she was trying to rid the district of Vern Dahl, who supposedly only showed up to the meeting due to the money. This board and staff are a bunch of bumbling idiots that will end up costing you big time. Thank you for the kind words. But please note that the article simply states that one person sent an email claiming what the law says. There is nothing in the story that suggests the reporter confirmed that reading of the law, nor is there anything that tells us that is the full extent of the law and that there are no possible exceptions. The article and headline seem to be relying on the word of a single person who has no official capacity and is an out-spoken critic of the board. The claim may be absolutely true, but there is nothing in the article that confirms it. The headline is misleading. It would have been better to leave the word “illicit” out of the headline. To put it in suggests bias or sloppy journalism, in my opinion. It appears Ms. Velie read the staff report for tonight’s Board meeting which confirms that there is a cap on compensation and that an entirely different process than that done on July 25 would have to occur. The raise was likely done in error, but what good are attorney’s and GM’s who get paid to make mistakes and then get paid again to fix them? It should NEVER be allowed to let a sitting board increase their OWN compensation. It would be only fair to have the increase effect only future board members that didn’t directly vote for their own increase! $25… What if it was $2,500 or even $25,000…… Do the rate payers realize there is very little they can do if the board acts in an agreegious manner. Wow, this seems to be an example of how OCSD has been run for many, many years. I’m baffled that they continue to flaunt very clearly stated examples of State Law and never have to suffer any repercussions. When exactly will somebody step in (like the State AG, hint hint) and investigate all the issues that have surrounded OCSD for the past several years? It’s almost as bad as OSCD/Grover/Arroyo allowing John Wallace to bill the San Dist approx $900,000 annually and never put out any of the projects for the legally required open bidding process. As the District Administrator he’s got an open conduit to funnel whatever projects he likes to his own privately owned company, The Wallace Group. Hopefully he’ll get what’s coming soon when the State gets done fining him and the District. Perhaps once Regional Water Quality recieves a conviction on the water quality violations it’ll be the first step in the Attorney General getting involved and persuing criminal mismanagement of public funds charges against Wallace/Ferraro/Nicolls. It happened in the City of Bell, who’s to say it won’t happen here? Wouldn’t it be great to see the three of them led away in handcuffs? This Wallace thread is woven deep throughout the County. The County used Wallace for work on the Los Osos sewer debacle and City of Morro Bay for their sewer mess. Don’t forget the recent Nipomo assessment district. It would be interesting if everyone who knows where they are helped compile a master list. The website for Wallace is sparse with government clients, there are many more than admitted there. You point out his double dipping at the Sanitation District, but he is also the District Engineer for Oceano CSD. A bit of a conflict; can you say “triple dipping”? He oversees their water and sewer infrastructure beyond that of what the OCSD technicians are qualified for. I cant speak for the Wallace website when it comes to private business deals however the “public agencies” part is riddled with lies, deceiving statements and generally bloated wording touting how they save the world crated by a aggressive PR company who is paid to create the grand illusion you see. There is a means to find every government agency Wallace has his hands on but they’d rather hide so nobody can see what their up to. Pay a visit the SLO county Grand Jury webpage, open up the link to Community Service Districts. The headliner is Managing Millions; Addressing transparency of CSD’s. Read this 16 page report and see just how many times the Wallace Group and Wallace are nailed for have no transparency or misleading information. Keep in mind Wallace is also the webmaster of many of the agencies he serves if you can call it that. Its the ultimate screwing of the public behind closed doors is what it is. “create the grand illusion” is the perfect analogy. What completely baffles me is how he pulls these evasive, non-answer responses that are directed to him by govt officials (like the recent Grover Beach meeting). Sigh…if the general public can see through this illusion what makes our govt reps so blind to it? QUOTING THE LONE GUNMAN: “if the general public can see through this illusion what makes our govt reps so blind to it? I think your confusion comes from your own honesty. You assume that, because our “govt reps” continue to contract with John Wallace/The Wallace Group, it means the govt reps are blind to his corrupt, self-serving handling of the contracts. I don’t believe, for one minute, that our govt reps are blind to Wallace’s corruption. I believe the problem is our govt reps DON’T CARE that Wallace’s corruption is taking place on our govt reps’ watch because our govt reps are more interested in currying his favor for their own monetary or political gain in the future. Wallace is a very big fish in a small puddle. He is powerful, and he knows where “a lot of bodies are buried.” Our govt reps who have worked with him for any length of time have probably participated and/or facilitated Wallace’s corruption. Therefore, if Wallace gets investigated, our govt reps might be concerned what details Wallace would reveal to save himself from spending the rest of his life in prison. Example: Nipomo CSD has been pushing the supplemental water pipeline from Santa Maria project for years now. They tried to get a hunk of government grants but received a very small $2.5 million for the project…which they are in danger of losing because in May 2012 Nipomo Mesa residents voted down the assessment district pushed by Nipomo CSD. The assessment district would have encumbered the deeds of Nipomo Mesa properties with monetary liability to pay for each homeowner/property-owner’s share of the cost f the pipeline. Are you yet wondering how it was Nipomo CSD determined what each property would pay? Would a large property with a high water use pay more? Would a large nursery-growing operation which uses many acre-feet of water, pay more? How about one of the Old Towne small, decades-old homes…would they pay less because their properties are small and they traditionally use much less water? Guess who Nipomo CSD contracted with to make the decisions how much each property would pay for the assessment. If you guessed “The Wallace Group,” you get an A+++ in Crony Logic 101. After all of the information about The Wallace Group’s corrupt handling of contracts, such as the SSLOCSD (Oceano WWT facility), the cronyism-gone-wild of the Los Osos debacle, and other Wallace greed and corruption in handling its contracts–Nipomo CSD contracted with Wallace to decide how much Nipomo property owners’ deeds would be encumbered with–for decades? REALLY? When supplemental water is brought in to Nipomo, development (including high-density/low-income housing) will dramatically increase. There will be lots of work for The Wallace Group. More importantly, I don’t think it is a stretch of probability that the amount of The Wallace Group’s assessments of the property of the more wealthy and powerful Nipomo Mesa property owners might be geared towards giving the rich and powerful (especially the developers) a big financial break. In turn, when it came time for development in Nipomo, The Wallace Group would be at the top of the list for the engineering and other jobs. Nipomo CSD’s board of directors are not unintelligent people. They follow the news closely, and now what is going on in he county. So why would they give John Wallace the control of ANYTHING that has to do with financial matters for Nipomo property owners? Who is the Nipomo CSD’s board of directors serving? The majority of the people of Nipomo, or the wealthy and powerful few? Great post MM, but how long before Wallace’s buddies throw him under the bus to save face and their political careers? maybe it will be Sept 7th when they lose the hearing against the state and certain somebody is responsible for $1.4 million in fines. The problem is that we, the RATEPAYERS, will be responsible for the fines. Our elected officials (namely Bill Nicolls and Tony Ferraro) have turned a blind eye to the mountains of evidence against Wallace. I was shocked, dismayed, and disapointed at Grover Beach Mayor John Shoals statement during last nights (8/6/12) Grover Beach Council Meeting. Shoals stated that the San Dist appointment is his decision and he WILL NOT appoint a different rep, no matter what his fellow council members, or the people who elected him have to say. Unfortunately it appears that Mr. Shoals is just as responsible for the San Dist cover up as Nicolls and Ferraro are. Shoals stated that he would not change San Dist representation during because the San Dist was facing a potential fine, along with the many many problems that the District is currenlty facing. What Mr. Shoals seems to be not recognizing is that the majority of the problems with the San Dist are due to lack of oversight by Mr. Nicolls. John Shoals should be ashamed at himself for enforcing his own opinion on the matter and disregarding what his fellow council members and the public are requesting. There is abolutely nothing transparent about the San Dist situation and now Mr. Shoals has planted himself firmly as a roadblock against any revealing of the truth. I thought it was just Nicolls and Ferraro that were dirty, not it appears that Shoals is just as dirty as they are. Thank God he’ll be out of office soon. Unfortunately, the $1,400,000 fine issue will probbably have already been resolved and Shoals can leave office knowing that he kept his Rotary Club buddy and business associate John Wallace safe from being held accountable for Negligence in Performance of Duties, as well as Mismanagment of Public Funds. Perhaps the Attorney General will need an extra set of handcuffs. This whole ordeal has really shaken my confidence in local govt representation of what we, THE PEOPLE, really want. I actually wish Shoals was up for a few more years. That way a recall could be started and the people who elected him could show him exactly what we expect from our elected officials….the truth. Something he’s failed horribly at. I borrowed this little tidbit from today’s Upland story but changed the name to fit our circus. “While he’s serving his sentence in federal prison, Mr. Wallace will have time to reflect on the principle that public service is a sacred trust that should not be abused for personal enrichment,” said United States Attorney André Birotte Jr. Laughable considering Slick Willie #1,2,3&4 say there’s no conflict of interest. Purely a coincidence that Wallace owns the engineering company that does all of the agencies engineering and project management he’s Administrator for. If that isn’t Personal enrichment explain what is? Note that this is a project where FEMA may demand return of part of the monies granted because Paso Robles used it for stuff they weren’t supposed to. “.From the SSLOCSD agenda package, Jan 05 2005. San Simeon Earthquake _FEMA Project Update. Administrator Wallace presented a report with regards to the San Simeon Earthquake FEMA project. He stated that the District has 9 separate projects under the FEMA 1505 fund. Project completion since the SS quake included the Final Clarifier baffle repair,asphalt repairs and maint building block repairs. In addition, repairs to damaged electrical conduits and concrete throughout the plant including the FFR ribs are now completed. The video inspection of the sewer trunk collection lines is also complete and because it revealed no significant damage caused by the quake, no funding was available for this project,except for minor admin costs. The paragraph below is directly off Wallace’s website as they toot their horn for more work they claimed to have performed. Dah, You can’t write an ordinance to by pass the State Gov Code! Geezz, is this another example of hiring to best of the best???? WOW. Looks like they are taking a page from the city of SLO re: raises for elected officials and pay raises for overpaid staff. Don’t be surprised if there isn’t a little pot-o-gold somewhere like the state has suddenly found through an overdue audit., or the city of San Luis Obispo’s All City Investment Account with $66 million in it while they cry the blues and delay infrastructure and important city projects claiming there is no money. While I am not happy about spending by some Gov. entities, with raises or in the case of the State Parks misplaced funding but this at $25.00 week per board member barely raises to the point of why bother. Don’t start to jump on me that I am giving a pass, (again look at my posts about Gov.) but COMON folks $25.00?? That barely buys a quarter tank of gas anymore. BTDT, It’s not about the $25 bucks, it’s about violating the law. Their attorney’s let them pass themselves a raise without checking the law. Others have noticed that since the water rate increase, the money has been spent on increasing salaries, attorney’s consultants and now perks (albeit small) to the Board. Funny you mention gasoline: OCSD Board member mileage to attend meetings outside the District is recoverable at $0.55.5 per mile (pays for tires, gas and wear and tear on their personal vehicle). No one pays me to drive to work…how about you? Board W. First on the gasoline. If you do something for your employer requireing use of your personel vehicle for work (not driving to and from) EVERYBODY is entitled to the .55c reimbersment through tax rightoff at the end of the year. This qualifies under that. Relax. The fact that they went in front of the public with this I don’t think they were trying to skirt the law. Lazy about doing their reasearch? Maybe but it wasn’t behind closed doors so unlike some things I have seen around the county the last year, I don’t think there was nefarious reasons for this. Last is in my understanding that these are pretty much (with the exception of a stipind) a volunteer job? If it is folks and we get so tight assed about every little thing than nobody will want to volunteer. Would you??? Was the specific matter on the agenda? If not, the Brown Act comes into play. Just watched the replay of this meeting on Ch. 21. Nice 40 minute presentation by Friends of the Railroad. The approval of increased compensation was buried in approval of revised bylaws. Do you think it should have been separate from that? Looks like the compensation is on its own this week, what will the Board do? Press ahead? Back down? It’s election season, it’ll probably go away quickly. But, the real question is, who is going to call out the attorney and GM who combined allowed the blunder? So many mistakes, all do to inexperience. It would be one thing if they were being paid Montemuro wages, but they’re not, they are being paid top dollar to clean up their own mistakes. I don’t know what the cut-off time is for submission of written statements, but you should submit a written statement of your concerns and the specific questions you want addressed. You can call out the attorney and GM. As long as the criticism is respectful and you remain calm, they have no reason to try to stop you from speaking. When possible, submit the opinions you want to be included on the record in the form of a written letter. You can hand-deliver it. You can ask for a receipt in the form of a duplicate copy of the letter (with “copy” clearly indicated on the copy) and ask staff to stamp it (they will stamp the letter you present) with their date stamp. If you want to ensure that all attendees have a copy of your letter, make copies yourself. I don’t know what the OCSD procedures are, but usually there is a table where meeting attendees can pick up the packet or other meeting materials. You should be able to put copies on that table (especially if they are stamped with the OCSD date stamp). To be sure, you can ask them when you drop off your letter. Get the name of the person who gives you your answer. With slithery organizations like the OCSD, you need to document everything you submit in order to “head them off at the pass” from claiming they never received the complaint, etc. Just a short time ago residents were being told we needed to raise rates for water and sewer. With no audits or budget oversight, no one could be sure where we are financially. They still have no idea. Corruption was widespread. Hire a Fire Chief for $ 150,000 plus he receives $150,000, in State Retirement. Mr Double Dipper. Continues To Go Up. Because of negligence and mismanagement. Now you tell me the ‘Appointed Directors” want a Increase In Pay. A Reward for doing a Poor Job ! I thought just a month back, they were telling us they were just “Volunteers” trying to help the community of Oceano. Call For Action- These Appointed Directors should Resign or Set an Example and Reject All Compensation until these Long Term Problems are resolved! They are wasting taxpayers money and have become the Problem and Not The Solution.